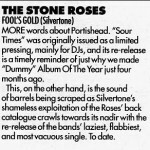 It’s not always rosey reviews for the Roses as these 2 demonstrate. 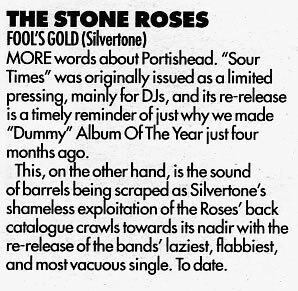 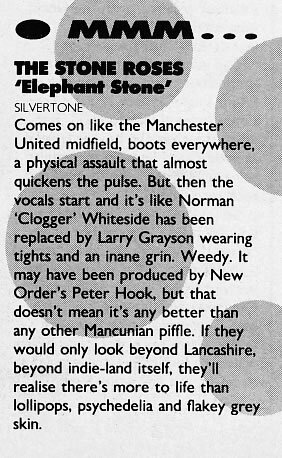 Record Mirror misses the point in 1988 and the Melody Maker get stuck in back in 1995. 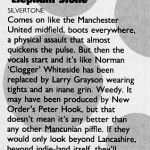 Not sure if the Melody Maker’s contempt is solely directed at the Silvertone cash in or at the music too.